Does Health Care Reform Impact Retirees? Yes! Much has been written and discussed about how the Affordable Care Act (ACA) impacts employed and unemployed individuals but what about the retirees? To examine this question first we must distinguish between Medicare eligible and non-Medicare eligible retirees. Medicare eligible individuals (typically those age 65 and older) enrolled in either original Medicare or a Medicare Advantage plan satisfy the individual mandate of the ACA by having that coverage. 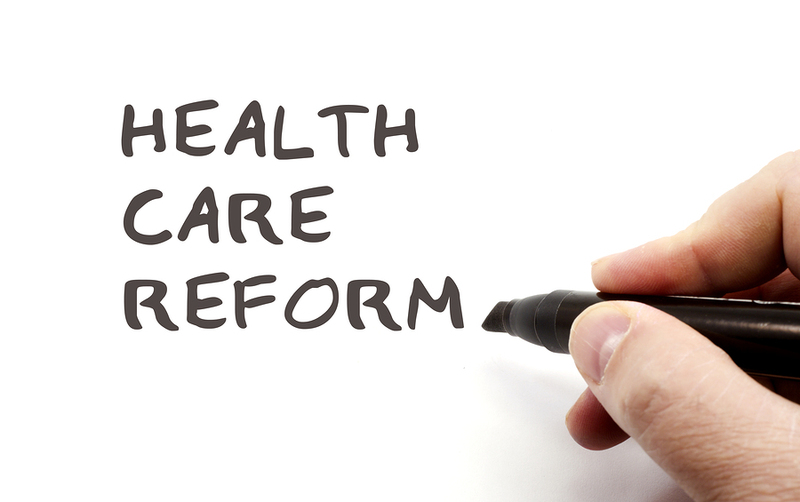 The employer mandate of the ACA does not apply to Medicare eligible retirees. So with the exception of some smaller requirements, the ACA does not apply to Medicare retirees. In fact, these individuals are prohibited from enrolling in plans offered on public health insurance exchanges (HIXs) created by the ACA. This is not an issue because a very robust and competitive market already exists for Medicare Advantage and Medicare supplement plans. Medicare eligible retirees can enroll in private HIXs but these have their own drawbacks. See related article here. The story is extremely different for non-Medicare eligible retirees. These are typically individuals under the age of 65. Today only a small minority of large employers offer health benefit plans for pre-Medicare retirees. Because Medicare is not primary for these retirees, group plans are often prohibitively expensive for retirees on fixed incomes. On the individual market carriers are allowed to underwrite based on health status which means many individuals with pre-existing conditions, which could be as common as diabetes or high blood pressure, are denied coverage at any price. Before the ACA, a robust insurance market for individual pre-Medicare retiree plans did not exist. For this reason, the ACA will be a bigger boon to early retirees than any other demographic group of Americans. Furthermore, underwriting parameters are limited under the ACA. Early retirees cannot be discriminated against because of health status or a pre-existing condition and age rating is limited to 3:1. Due to a quirk in the way the government subsidies are calculated under the ACA, a 60 year old retiree will receive a larger subsidy than a 30 year old, all else being equal. For all of these reasons, early retirees will be the largest beneficiaries of health care reform (pun intended). Moving pre-Medicare retirees from an employer plan to a public HIX plan is also very good for the employer and the active employees. This is because early retirees are often left on the same plan as active employees. The retirees have higher claims and worse experience but pay the same premium equivalent as active employees. In this situation the active employees are subsidizing the retirees so removing these retirees lowers the premium or premium equivalent for everyone else on the plan. But a rush of pre-Medicare retirees onto the HIXs before a similar influx of younger healthy individuals would create a huge problem which may endanger the ultimate success or failure of the ACA. Why? Early retirees will have every incentive to sign up for plans on the public HIXs while younger, healthy adults will be less motivated to join. To combat this problem the ACA included a reinsurance fund to compensate carriers for the added risk of enrolling less healthy older individuals until a significant number of counterbalancing young healthy people join. But this fund is temporary and if the young and healthy do not join the HIXs the risk pool will be turned upside down and the rates will soar. This will further discourage young healthy adults from signing up. The negative reinforcing loop could literally and figuratively bankrupt health care reform. Previous PostPrevious Public vs. Private Health Insurance Exchanges – How are they different?